Happy Monday and I hope you had a fantastic weekend!! 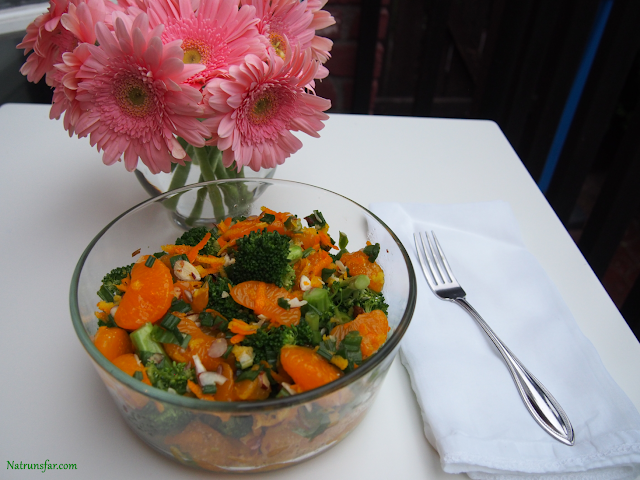 I made a delicious summer salad yesterday and I would love to share it with you! Well, this salad is definitely easy peasy! Let's get started, shall we? Combine and cover for 15-30 minutes. Chill the broccoli in the fridge and then combine the broccoli with orange mixture just before serving! SO GOOD! Perfect for lunch or a side dish for dinner. My kiddos loved it! 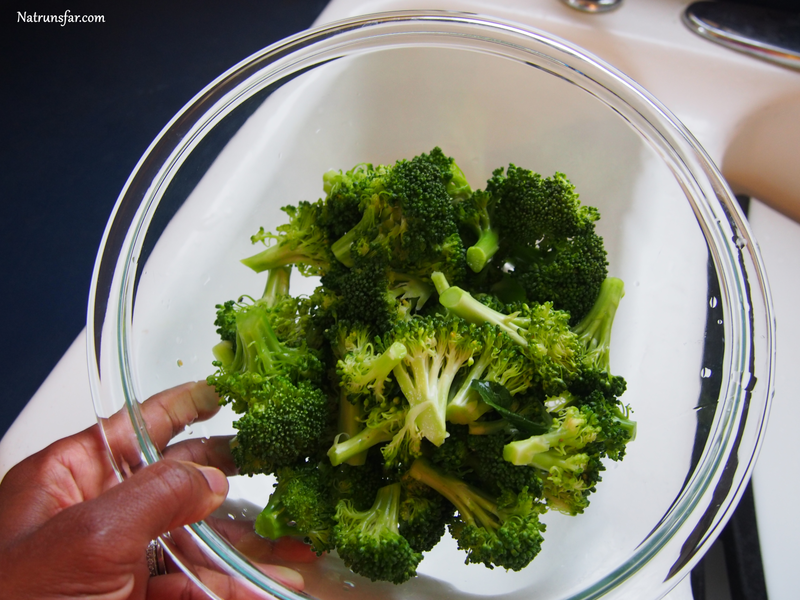 Steam the broccoli florets in a covered saucepan for 3 minutes (just until a bright green color and crisp-tender). Quickly remove from the heat and rinse broccoli with cold running water. Do not cook further. Place in a serving bowl, cover and chill. 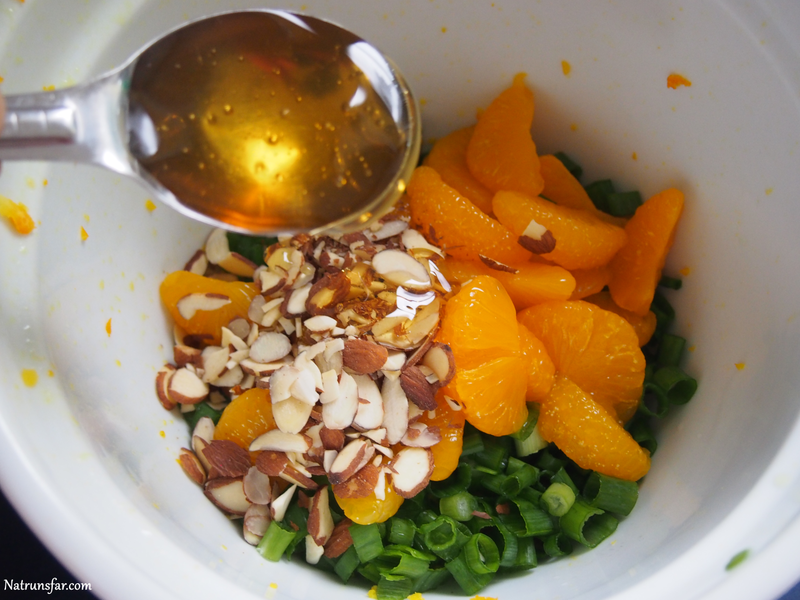 Meanwhile, in a medium-sized bowl, combine almonds, drained mandarin orange sections, grated peel and juice from orange, green onions, and remaining ingredients except for salt and pepper. Toss gently and allow to stand at room temperature for 15-30 minutes. 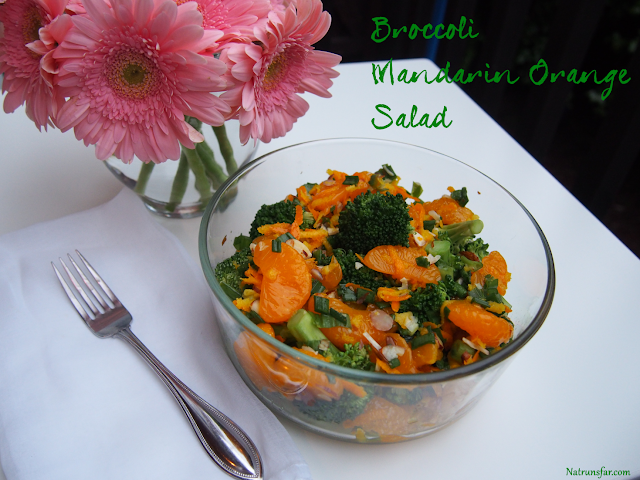 When ready to serve, pour marinated orange mixture on chilled broccoli and toss very gently. Individuals may want to add a bit of salt and pepper, but the dish is good even without additional seasoning. 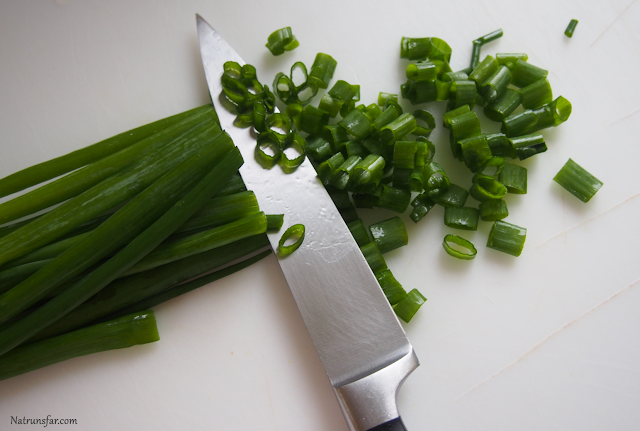 Chef’s Note: Vividly green vegetables such as green beans, cucumbers, broccoli, and zucchini will turn a drab yellow-green color when in contact with acidic liquids. To keep this salad bright in color, add the orange-flavored dressing just before serving. 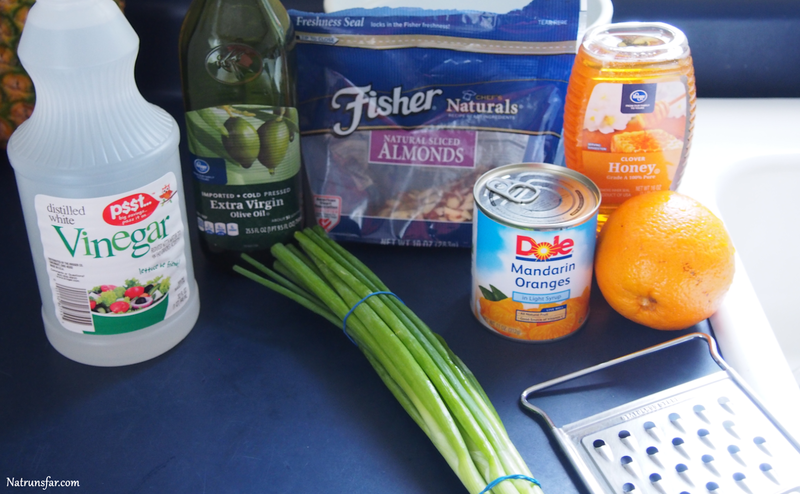 I am linking up again with the fabulous Tina and Deborah for Meatless Monday! Definitely pop over and check out the awesome recipes they have as well as even more recipes from other great bloggers! I have to say, my family looks forward to Sunday night to see what new meatless dish I am going to whip up for Meatless Monday! Lots of fun!! Do you try and eat meatless on Mondays?